Based on opensuse 12.1, I tested this out in vmware workstation by downloading the vm version (has a .vmdk file) inside the .tar inside the .tar.gz. files, music, bookmarks, calendar, e-mail client, ldap and unix pam integration. All in all, it looks like it could be quite cool. And it appears to be updated quite often too with a quite active community. But this takes a bit of commitment. First you want to move your existing stuff into this one (so you want to have backups of it etc) and you want to host it somewhere reliable (in case you access it through your phone etc). But I can see the potential, is quite nice to not have to depend on google or your other_random_”cloud”_vendor for these kind of services. This entry was posted in IT and tagged bookmarks, e-mail, files, ldap, music, opensuse, owncloud, Storage, suse, uploading, VMWare, webdav on 2012/03/13 by guldmyr. This is a test for installing openindiana and set up a working dCache test-vm. dCache is a storage element of the Grid (scientific computing). OI == OpenIndiana. Kind of like opensolaris with an Illumos kernel, not the sun/oracle kernel. With http://www.guldmyr.com/blog/esxi-vmware-workstation/ as a base for how to set up ip settings etc in OI. If you do not create the ones above the install of service/postgres will fail and create a new BE. I initially did this in an ESXi VM in VMWare Workstation, but that keept freezing so I went over to a ‘real vm’ instead. The VM is more responsive. so, edit /opt/d-cache/bin/dcache and remove the if in the beginning that will make it use /usr/xpg4/bin/sh – so that it uses /bin/bash instead. exec /bin/bash $0 % "$@"
echo "Cannot find POSIX compliant shell. This script will"
echo "probably break, but we attempt to execute it anyway." and it appears to be stable, except for some errors about (NFSv3-oi), however, we disregard those for now, we just want to get it running! uncomment the pool1 section, set a maxDiskSize=2G to specify max disk space allowed. Specifics are in the installation part on dcache.org in the book. Then point your webbrowser to – see any blue buttons?! yay, it’s up! Next step is to try it out, this might prove a little bit more difficult (to find dcap/root/srm client for opensolaris/oi). We’ll start with trying to use Webdav (doesn’t require anything fancy on the client side, except maybe a browser plugin for uploading). The script /opt/d-cache/bin/chimera-cli.sh sadly assumes that you need bash or a special version of bash somehow. See http://www.dcache.org/manuals/Book-1.9.12/start/intouch-client.shtml for the rest. If you keep the webdav in the same domain you’ll need to restart the whole dcache. Now you get another folder in your computer where you can create folders. These will also show up if you surf to , sadly however, you cannot write files. gridpp.ac.uk says it’s because pool is full. But it’s 2048MiB and all free? suggests minimum pool size might be 4G, changed pool maxdiskspace to 8G. tada, now the copy starts, or the file creation starts, but I cannot actually write anything to it. So if I create a .txt file, I can give it a name and save it, unless I try to write anything inside it! (pool1) [00002CBCC971ABC14BDC9E496A0AEAA31FC3] A task was added to queue 'store', however the queue is not configured to execute any tasks. then on a system you should be able to ‘apt-get install nfs-common’; modprobe nfs; mkdir /nfsv4 mount -t nfs4 ip.to.server:/ /nfsv4′. But for me this stops working with an “cp: closing `./bash’: Input/output error”. Possibly because I could not specify -o minorversion=1 on this ubuntu install (3.0.0-16). Then create new vm and set the new vmdk file as the disk. SCORE! We have a working dCache setup in a VM running openindiana! This entry was posted in IT, Storage and tagged dcache, ESX, ESXi, grid, openindiana, postgres, postgresql, VMWare, vmware workstation on 2012/03/01 by guldmyr. Checking out the new Windows 8 Consumer preview! Installing in a VM on a host with Windows 7 and Intel Core i7. “To snap apps, you need a screen resolution of at least 1366 x 768” so I guess I better increase the resolution! Went with 1680×1050 which seems like an arbitrary number but with the highest (1920×1080) the text was blurry. Could not detect which OS was on the disk, set it to Win7 x64. 4G RAM and 25G disk. 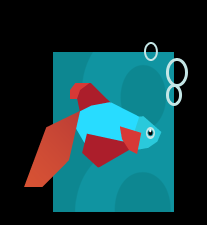 There’s a funny fish shown during first install. After this, enter language and hit install, enter license key, custom install, use all disk. After windows boots you get to decide hostname, enter your windows account, make some settings if you want to update drivers, safety filters. You can enter some extra security stuff (e-mail, alternative e-mail, security question). To get to settings move the mouse cursor down to the bottom right corner. A task bar is available if you move the cursor to the left top corner of the screen. Xbox games doesn’t work (not allowed to sign in from my region). Pinball FX starts but it’s lagging, a lot. But, if it’s slow just hit the windows key and you’re back to the block(s). In the end it doesn’t work either. There’s a messaging square where you can add facebook, there’s also an e-mail square where you can add gmail. Weather shows temperature as Fahrenheit, even though all my settings in control panel are set to Sweden/Swedish. So I put some music on the skydrive, and then started it (whereupon it downloads the song). It then starts up a media player that takes up the whole screen. You can tell that this is meant to be used for a tablet where you don’t want clutter or where you want it to look nice. Also, you go to settings to turn it off. This entry was posted in IT and tagged beta, preview, testing, VMWare, vmware workstation, windows, windows 8, windows 8 preview on 2012/02/29 by guldmyr. What’s weird is that while VMWare Workstation scans the iso (to find which OS it is) it stops responding (other VMs are unaffected). It has a ‘hammer’ filesystem. Apparently this is unsupported for FS under 10GB and not recommended for under 50G and will apparently require a lot of things (period clean-up job) occasionally. Nice and straight-forward console-based installation. As it’s BSD, add the user to the ‘wheel’ group so that it can become super-user. Guide to get sshd working (basically set PasswordAuthentication = yes). The guide mentions a lot of other things, but in 3.0.1 sshd is on by default and the keys have been generated. Edit /usr/pkg/etc/pkgin/repositories.conf and add the URL to a repository near you. It’s not enough to just edit /etc/passwd to get the new shell, you need to edit it via ‘chsh’. or it will complain that libcrypt.so.3 doesn’t exist. All commands start with ‘hammer’. Like ‘hammer info’. While looking at it from the above angle (quite distant) – this doesn’t appear to be very different from other bsd/unix/linux distributions, a bit different commands to do some things but that’s not so odd in itself. This entry was posted in IT and tagged bsd, dragonfly, freebsd, operating system, os, VMWare, vmware workstation on 2012/02/27 by guldmyr. Free license can be found there as well. Get ESXi and the vSphere Client. Get an OS to install in a VM (I chose openindiana). Install ESXi in VMWare Workstation 8. 40G disk, 4GB RAM, 2 cores, enable Virtualization. Actually, in VMWare Workstation you can do ‘connect to server’. So for this you do not need the vSphere Client? Looks like through VMWare Workstation there’s a lot less options. Supposedly you can upload stuff to the datastore through the vSphere Client, and possibly more. Basically in VMWare Workstation you can just create a VM and make basically the same settings on it as you would on a normal VM. In the console, enable ssh and stuff. Then you can scp and ssh to the esxi host. /vmfs/volumes/datastore is where you want to put isos. you can also browse to the datastore via http! Install OpenIndiana in a VMWare Workstation VM running ESXi. Connect to the ESXi server in VMWare Workstation (connect to server, put in the IP of the ESXi VM, the IP is in the console). After it’s there just create a new VM and select a ‘remote location’ of the iso when you look under CD. I’m went with openindiana. 8G disk, 1GB RAM, 1 CPU, “VM Network” (I presume this means the same as the one where the VM is). Nothing else special during install. Feels a bit slow, but that could be because of the 1GB RAM. But I increased this to 2GB and still the Grub menu was slow to load. In the console hit: ‘pfexec su -‘ to get to the root shell. From the start I can ping a DNS-host on the internets. Great success. After this, restart the system (init 6) and see if the settings stick. (I had to restart the VM twice but the IP setting stuck). The OI VM stuck at boot a few times after this as well. poweroff/restart got it back without any issues though. this is how to update your OI (no questions asked, just update everything). easy peasy, no problems at all (and screen is installed by default!). JAVA is already installed by default (1.6.0.26). This entry was posted in IT and tagged ESX, ESXi, openindiana, VMWare, vmware workstation on 2012/02/18 by guldmyr. Trying out osol-dev-134-x86.iso in vmware workstation. Host OS: Core i7 with Windows x64. 1 core and 1300MB RAM, bridged networking and 16GB disk. Installation looks initially very similar to openindiana (I guess it is the other way around..). Choose keyboard layout etc. When you boot on the disc above you get directly into a desktop. If you only want text you can use the textinstall-134-x86.iso on the same page as above, the openindiana text-based installer had some more options than the ones in this graphical one in opensolaris. From there you can click an icon to install it. It only asks you for user/pw, timezone and partitioning stuff. 3.6GB needed. Nothing more, no packet selection or role customization. I was not expecting the graphical desktop. Networking works straight from the box. Flash does not. However you can just download a .so file and get it working. Just find out where firefox is installed and copy it to the plugins directory. But flash is apparently dying now anyway. There is an update manager but it doesn’t find any updates. Even though this version is from 2010. ? Why? Do I have to register to get updates? Register page takes me to Oracle. Perl version is 5.8.x and latest Perl now is 5.14.x. Supposedly ‘pkg image-update’ should update but it appears to not work anymore. There is now Solaris Express or whatever Oracle calls it which I presume they want you to update to and pay for. Of course openindiana is still there but it doesn’t install on the bl460c. Protip: To get root level permissions you type ‘pfexec su -‘ or just ‘pfexec bash’. The main idea I wanted to do this was to see what ‘touch /reconfigure’ did. All it did was to add ‘configuring devices’ during the boot. Also tried this on a bl460c blade where we replaced the system board. Nothing special, it booted up just fine! This entry was posted in IT and tagged openindiana, opensolaris, osol, solaris, VMWare, vmware workstation on 2011/11/22 by guldmyr. VMWare Workstation 8 is required (doesn’t work in 7). The x64 version (without developer tools) installs just fine on my Win7 x64 Core i7 machine with virtualization enabled in BIOS. Just disable the easy install bullcrap (you may have to remove the floppy drive). Boots fine and logs on, can connect your Microsoft Live account to the computer. If you do connect it, you’ll get an e-mail to your Live e-mail asking if you did this and if you want to give this computer access to your account. Pretty integrated. That’s how far I’ve gotten. Unsure if I’ll actually try anything more but it was nice to see that it works. Windows 7 has been so great to me (compared to 98, me, and xp) with very few problems that I doubt that I will upgrade for quite a while. Approaching 2 years, no reinstall yet and it’s still pretty quick. I suppose it all depends if Win8 is going to have some feature that I really do like/want. If you just bring the mouse down to the right corner you get the start menu and a large clock, nice, no need to click. None of the apps worked (couldn’t click on them). Looks nice and ‘streamlined’ or something, not too cluttered – nice. This entry was posted in IT and tagged developer preview, live, microsoft, VMWare, vmware workstation, windows 8 on 2011/09/26 by guldmyr. You may have seen in my previous post about EyeOS that I tried many things to get time in sync on the virtual OS. It was drifting lots of time and after a few hours it was an hour behind. Google tells me this is quite common but I could not find anything that decidedly fixed it. run ntpdate every hour. This is not advised, primarily because it will add a lot of extra load after a while to the public(free) time servers. Especially if I want to have several machines up to date. One thought then was to set up a local ntpd and let other guest OS sync time with that. But then I could not get that in sync so we were back to square one. others mention using VMWare tools time sync. Make sure vmware tools is installed (type vmware and hit ‘tab’). With a .txt editor open up “vmname.vmx” on your host OS. Set tools.syncTime = “FALSE” to “TRUE”. Restart vm. Now on this particular machine I’ve had ntpd installed, but it is now uninstalled. Install vmware-tools (without make/gcc installed). I filled out the ntp-information during installation and then after wards I added the “tinker panic 0” which should let the ntpd make ‘big jumps’ and by commenting the fudge-line I chose not to use the local clock because this is drifting so much. More than 24 hours after I installed the OS the driftfile is still 0.000. This entry was posted in IT and tagged 10.10, Linux, ntp, ntpd, red hat enterprise, RHEL, time servers, time sync, Ubuntu, VMWare, vmware workstation on 2011/02/27 by guldmyr. I really liked a post by the storage anarchist as it quite eloquently explains what is happening and a great benefit of VAAI. Granted the post primarily speaks about the eraze part and I’m not that knowledgeable about VAAI itself to tell if there are any other features – but there is – at least according to this article on vmetc.com. This does not focus on the same two features that the anarchist mentioned. Maybe the storage anarchist did not want to mention all of these other features because they actually do work quite well for arrays that are behind the VSP. This entry was posted in Storage and tagged anarchist, arrays, EMC, hds, Storage, vaai, vm, vmax, VMWare, vsp on 2011/02/10 by guldmyr. Figured I would give this a shot and see how this is done in Linux. 1x Ubuntu 10.10 VM in VMWare Workstation. Installed with virtual kernel. 1x Windows 7 VM. All updates. Not going to go through the installations in this post, just the domain/LDAP part. See previous posts for installation stuffs. Found this article on ubuntu.com -> -> 10.10/serverguide/C/network-authentication.html .. But this does not exist anymore. Basically I think I just need to install and then configure Samba. Because it has file-sharing and authentication/authorization. So, first step will be to install Samba and try file-sharing. After that I can run \\192.168.0.ip which is the IP of the VM running samba – it gives me a login prompt. Still asks for a password. Tried with user@ip – this seems to work. It shows a directory called “homes” but it doesn’t work to browse into it. This entry was posted in IT and tagged 10.10, apt-get, file share, guide, kernel, Linux, samba, Ubuntu, virtual kernel, vm, VMWare, vmware workstation, windows on 2011/02/08 by guldmyr.